Vladimir Tsezarevich Anshelevich (V.Ts.) 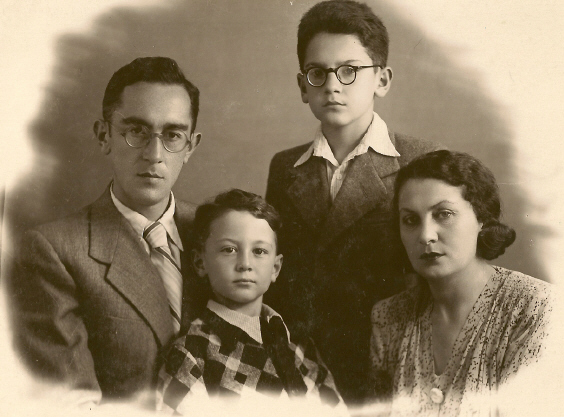 was born November 4, 1912 in the house of his grandfather Iosif in Vladikavkaz, Russia (now the capital of the Republic of North Ossetia-Alania). 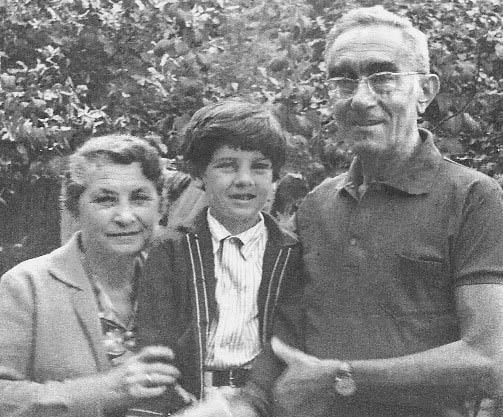 He spent his childhood in Tiflis (the capital of Georgia, then a part of the Russian Empire). V.Ts. 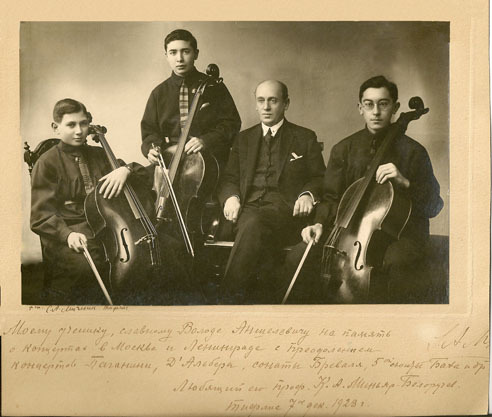 inherited his musical ability from his mother, Esfir Grigorievna, and at the age of eight began studying cello with Professor Konstantin Alexandrovich Miniar-Beloruchev at Tiflis Conservatorium. Soon after returning home, V.Ts. graduated from Conservatorium with the certificate of “Artist-Performer of the First Degree,” and he was given an option to receive the Conservatorium Diploma upon completing all remaining necessary credits. 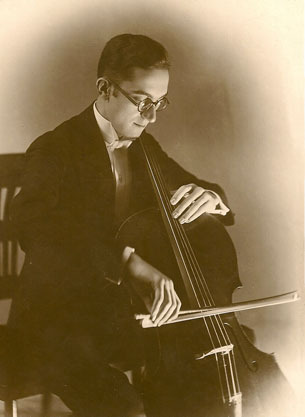 Having this document with him, he took his cello and left for Moscow, where for a couple of years he made a living by performing in culture houses and cinema theaters. In 1933, V.Ts. 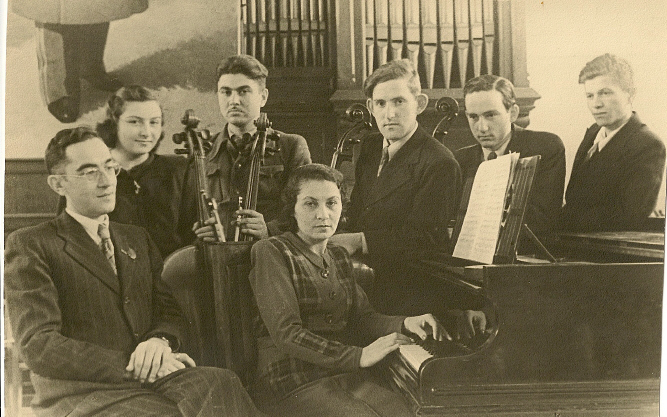 participated in the First All-Soviet Union Competition of Musician Performers in Moscow, where H. Tsomyk shared the 1st prize with Sviatoslav Knushevitsky, A. Ferkelman got the 2nd prize, and V.Ts. received the Diploma. Soon afterwards, V.Ts. 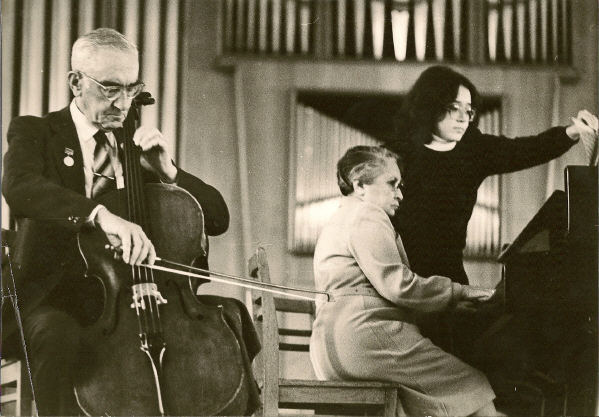 was invited to Kharkov, then the capital of Ukraine, to take the cello position in the Beethoven State Trio with violinist Victor Goldfeld and pianist Nadezhda Landesman. In Kharkov, V.Ts. met Musia Iosifovna Shebshaevich (M.I. 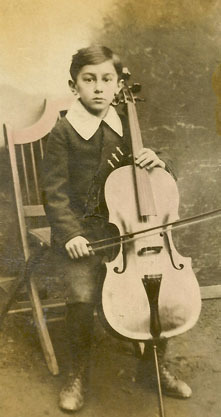 ), a student at the Kharkov College of Music. 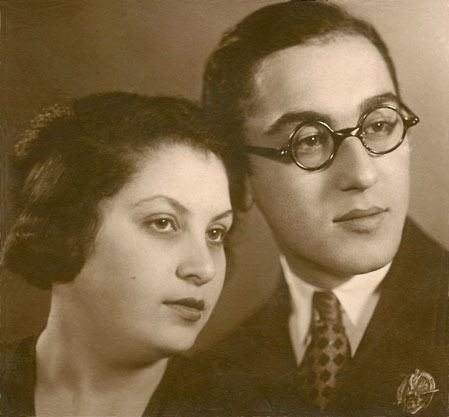 They were married February 17, 1934. V.Ts was not satisfied with the job in Kharkov partially because of career problems caused by Ukraine’s growing nationalism. Upon receiving an offer from the Azerbaijan State Conservatorium, which had recently been founded by Uzeyir Hajibeyov, (Uzeir Gadjibekov), V.Ts. accepted it promptly. In 1936, V.Ts and M.I. 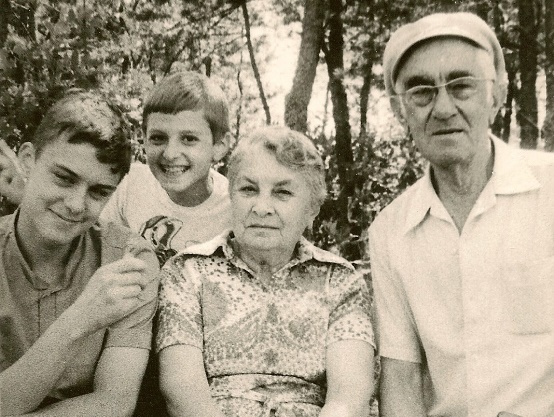 moved to Baku, the capital of Azerbaijan, then a part of the USSR, where they lived and worked for the next 56 years. V.Ts. taught in the Conservatorium and the Music School for Gifted Children as well as performed as a soloist and chamber musician. Since 1962 he served as Chairman of the Chamber Music Department. 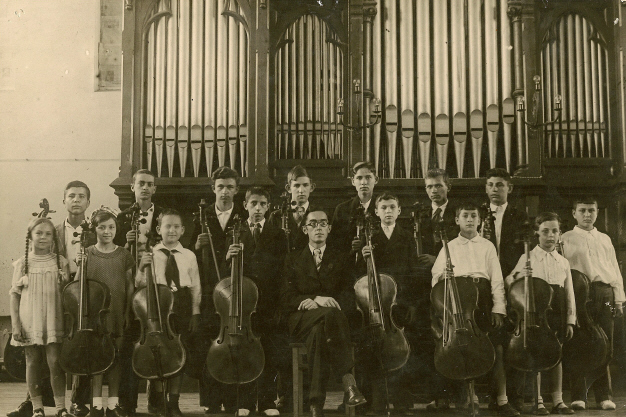 For many years he was also Principal Cellist of the Azerbaijan State Symphony. In December 1992 V.Ts. and M.I. immigrated to Israel. On March 27, 1993 V.Ts. died from a rapidly progressing cancer. He is buried in Beersheba. He loved music, and he loved teaching his students to love music. His students loved him. 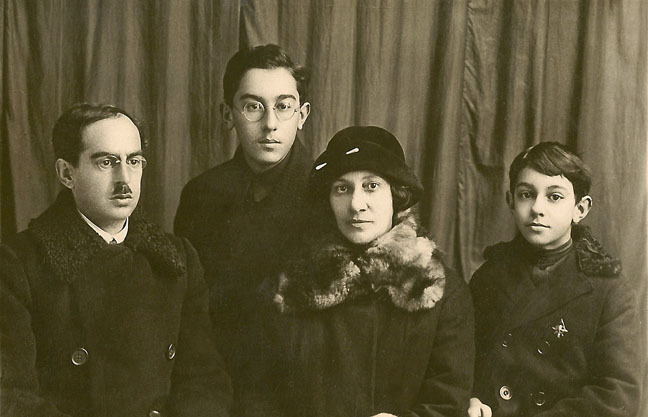 With his parents and younger brother. Vladimir Anshelevich and Musia Shebshaevich. 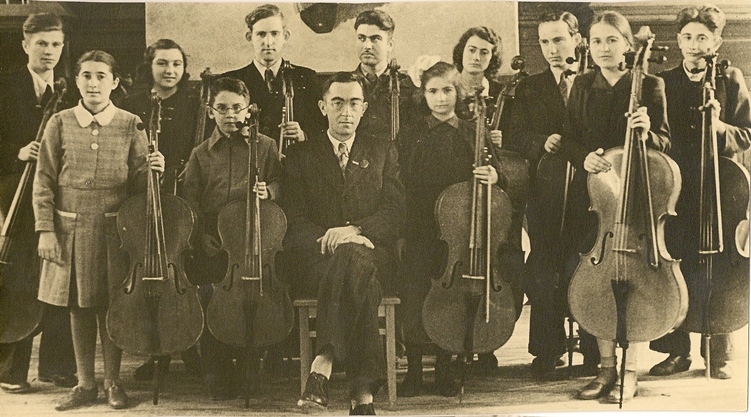 V.Ts.Anshelevich and M.I.Shebshaevich with students. With their grandsons Michael and Elliot.